As current or future PR professionals, we are constantly writing. Whether it be blog posts, talking points, or press releases, creating the perfect writing environment is essential to create solid pieces. It can be hard to create that perfect environment when you are writing in a noisy office or crowded dorm room. So for the times when you just want to focus on your assignment at hand, OmmWriter is the tool for you! 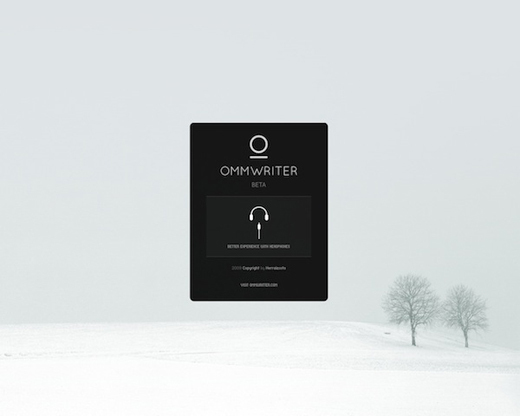 Available for PC, Mac, and iPad, OmmWriter installs directly into your device and allows you to take the perfect writing environment anywhere you go. Upon opening the program, it allows you to select from various background images, background music to help you focus, font styles, and more. Most importantly, when you launch OmmWriter, it goes into full screen mode, blocking out other distractions. You’ll be much less tempted to check your email or @replies on Twitter when you are completely zoned into your writing. 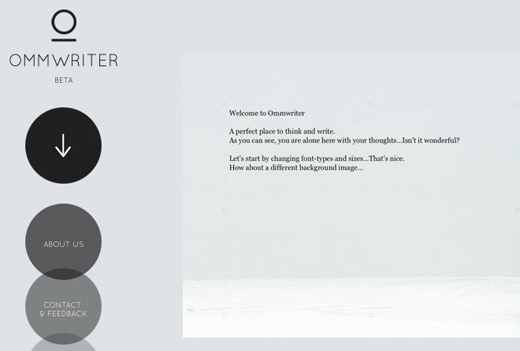 OmmWriter limits formatting options to help you focus on content rather than getting lost in stylistic elements. OmmWriter is currently available in two versions: Dana I, the free version, and Dana II which is a paid option. Both come loaded with a selection of audio and visual affects. I recommend starting with Dana I, to get a feel for the program before diving into the paid option. OmmWriter also recommends using the program with headphones, to help create the effect of your own, personal writing room. What’s your perfect writing environment? Have you tried or do you plan to try OmmWriter? Let us know!